Growing up in Greece I always wondered how certain Christian holy days were called in English and if they were celebrated the same way or even if they were celebrated at all in England or other European countries. 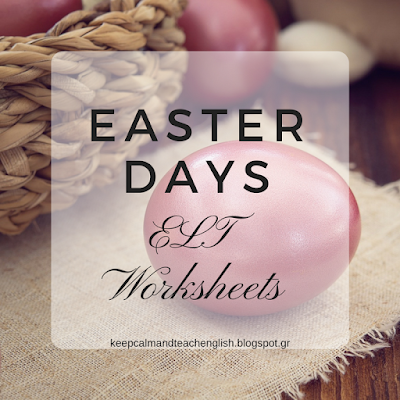 With Easter approaching I searched the internet for ideas on Easter customs and I prepared some worksheets for my students concerning Easter days in the English speaking world, starting from Lent to Easter Sunday. The worksheets can be used as a springboard for comparing customs and discussing other spring religious (or not) customs, if your class consists of multicultural students. In any case, as with any religious topic, handle with care and use accordingly!